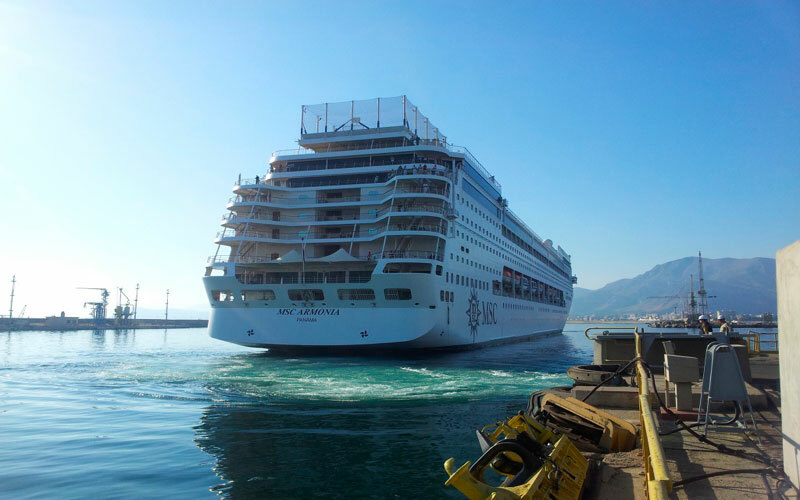 The first of four ships has completed its huge upgrade and has now been delivered back to MSC Cruises. The ship has been out of action since 31st August 2014. The ship spent 10 weeks at the Fincantieri shipyard in Palermo, Italy which is part of a 200 Million Euro investment from the cruise line. MSC Armonia is the first of four Lirica class ships to receive what is known as the “Renaissance Programme” upgrade. The shipyard has completed the insertion of an entire prebuilt midship section, launched at the end of July, providing an addition of approximately 200 cabins, as well as new entertainment spaces and new technological enhancements. The impressive onboard boutiques has been enhanced with new interiors, more space and an all-new perfumery with display corners dedicated to leading brands. The ship has left the shipyard to sail to Genoa, where she will be relaunched amid much fanfare tomorrow for a 10-day inaugural cruise to the Canary Islands.